After playing a variety of instruments beginning at age 8, and earning a Ph.D. in American music history (specializing in modern jazz), I realized a decades-old dream in 2007 by learning the Great Highland Bagpipes. My first teacher was the self-styled grumpy Glaswegian John McDade (proprietor of the former Wee Bit O’Scotland). Since then I have been fortunate to get instruction from Bruce Gandy, Ann Gray, and Andrew Wright. My attraction to the bagpipes begins and ends with their sound. The music, the compositions, is in the middle. Sound surrounds, more on the bagpipes than any other instrument I know. I perform regularly in the Boise area, most often at weddings and funerals but at other types of events as well. I also teach bagpipe lessons for beginning and intermediate students. 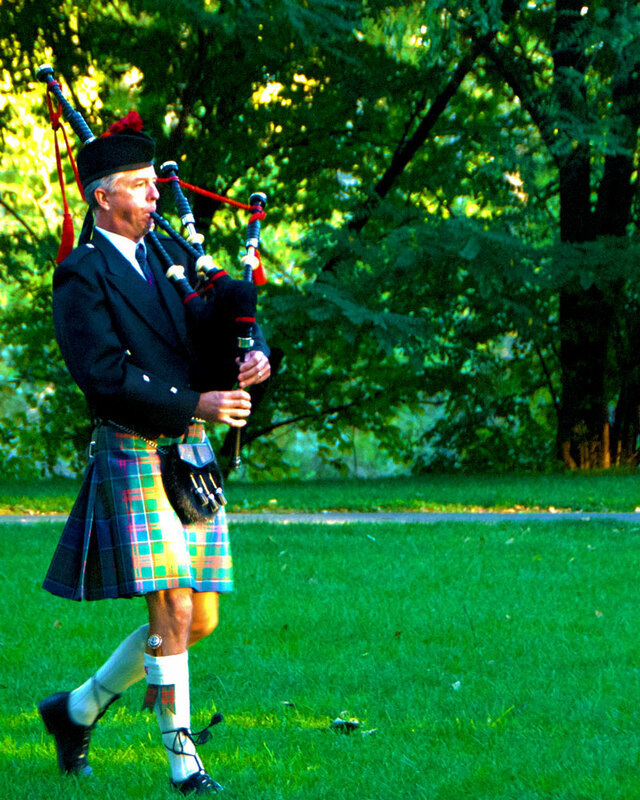 I can be reached through my bagpiping website, mcmichaelpiping.com.